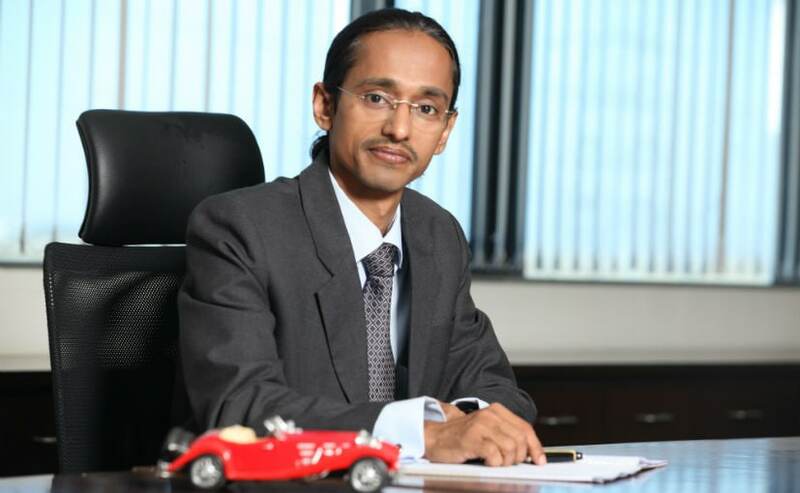 With over two decades of experience, Manas Dewan comes to the Pune-based AJP Group and will be bringing automakers like UK's Scomadi scooters and US-based iconic brand Shelby to the country under a multi-brand franchise. AJP Group has announced the appointment of Manas Dewan as its Chief Operating Officer (COO) for India. The Pune-based company started operations in 2007 in the UK for the import and export of luxury vehicles and also has had its presence in India ever since. The AJP Group is a multi-brand enterprise and has brought brands like Tunit, CT Exhausts and Imperial Weaves to the country. It also set-up the AJ Performance workshop in Pune that caters to the maintenance, restoration, custom jobs and sourcing performance parts for cars. In addition, the AJP Group has collaborated with British scooter brand Scomadi and US-based iconic auto brand Shelby and will be bringing the same to India soon. Commenting on the appointment, AJP Group - CEO, Alexander Johnson said, "We are poised for incremental growth in the near future and Manas with his deep automotive experience and global exposure will lead our aggressive plans for the Indian subcontinent. The AJP Group is all-set to introduce its unique multi-brand franchisee model into India and Manas with his experience of managing businesses, brands and corporate strategy will lead this initiative. AJP Group will be bringing British performance scooter brand Scomadi to India later this year. The company was founded in 2009 by Frank Sanderson and Paul Melici and has been producing hand-built, limited-edition scooters since 2009. The scooters pack in a punch in terms of performance while maintaining retro-styling. The company is expected to bring the Scomadi TT125, a 125 cc scooter, as its first offering in India, and will establish its presence across the country with dealerships in major cities. As part of its strategy, the AJP Group will be retailing Scomadi, Shelby India, Tunit , CT Exhaust and Imperial Waves under a multi-brand outlets. The Scomadi TT 125 is powered by a 124.6 cc single-cylinder, air-cooled, fuel-injected engine tuned for about 10 bhp. The motor is sourced from Aprilia but gets a different bore and stroke and is produced in Thailand for the British bike maker. Internationally, the scooter can be factory-tuned to produce up to 14 bhp with specially modified cases. Other components are premium as well on the TT125 with Nissin sourced 220 mm disc brakes with CBS as standard. The scooter is underpinned by a tubular space frame chassis and gets double hydraulic shock absorbers at either end. The TT125 uses a large 11 litre fuel tank that leaves little room for storage. 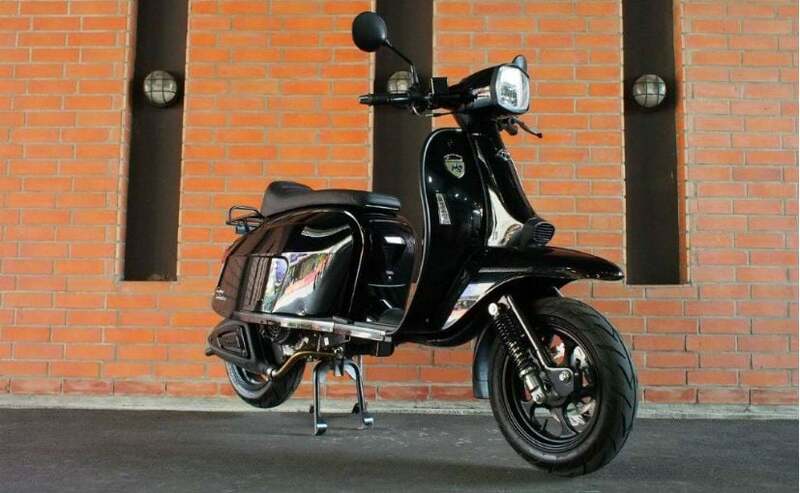 The scooter also gets a digital instrument console, LED headlamp and Pirelli tyres. It's not clear if India will get the same spec version as the UK. Manas Dewan comes to the AJP Group after having spent two decades in the automotive industry and has worked with brands like Mercedes-Benz, Dow Chemicals, Bajaj Allianz, Cadillac, Hyundai, LG in India, the Middle East and Europe.